ISMIP6 is a community effort that involves scientists interested in the polar regions, ranging from experts in polar remote sensing to modeling. If you would like to be involved in ISMIP6, please email ismip6-at-gmail.com. A big thank you to our members contributing to the numerical simulations! Dr. Sophie Nowicki is a Research Scientist in the Cryospheric Sciences Laboratory at NASA Goddard Space Flight Center, Greenbelt, MD. Her research interests focus on the studies of ice sheet dynamics, and their connections to the global climate and future sea-levels. Through applied mathematics, remote sensing observations and numerical modeling, her work spans the spectrum of local processes, such as understanding the physics of grounding lines, or the impact of our poor knowledge of bedrock topography on ice dynamics, to that of large scale continental ice sheet models. 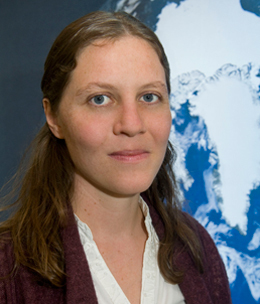 Since joining NASA Goddard in August 2009, Sophie was a science team member for Operation IceBridge, and co-lead the SeaRISE (Sea-Level Response to Ice Sheet Evolution), an international effort that investigated the sensitivity of the Greenland and Antarctic ice sheets to external environmental forcings. Sophie currently leads an effort to couple an ice sheet model to the two Goddard climate models (GEOS-5 and ModelE), and an effort that investigates the feedbacks, processes and impacts of contemporary changes in the Arctic using satellite observations, ice sheet and climate models. She is a member of the NASA Sea Level Change Team (N-SLCT). Tony Payne was appointed Professor of Glaciology in the School of Geographical Sciences, University of Bristol in August 2005 and is a co-director of CPOM. Tony has a B.Sc. in Environmental Science from University of Stirling and a Ph.D. in Geography from the University of Edinburgh. His PhD was on the modelling of former ice sheets. Prior to joining CPOM, Tony was a Reader at the Department of Geography, University of Southampton. He has also worked as a Postdoctoral Research Fellow at the Department of Earth Sciences, University Bremen (Modelling of the late-Quaternary oceans) and the Department of Geology and Geophysics, University of Edinburgh (Modelling the former Scandinavian Ice Sheet). Tony's work centres on the development and application of numerical models of glacier and ice sheet flow. He is particularly interested in the evolution and dynamics of ice streams, and their effect on the stability of ice sheets. Numerical modelling of the Greenland and Antarctic Ice Sheets. Implementation of ice-flow models on parallel-processing computers. Development of higher-order ice-flow models. Integration of remote sensing data with numerical models of ice-mass flow using control methods. Modelling of Pine Island Glacier, West Antarctica. Helene Seroussi is a scientist in the Oceans and Ice group at Caltech’s Jet Propulsion Laboratory in Pasadena, California. After completing her Ph.D. in 2011 at Ecole Centrale Paris, France, she joined the Jet Propulsion Laboratory as a NASA postdoctoral fellow. She is a co-founder and co-developer of the Ice Sheet System Model (ISSM) since 2008. Helene is interested in understanding the interactions of ice and climate by combining state-of-the-art numerical modeling with remote sensing and in situ data. She is interested in determining how the ice sheet, ice caps and mountain glaciers will respond to climate change in the coming century, and how they will affect global sea level. Dr. Heiko Goelzer is a researcher at IMAU, Utrecht University. His scientific interest is on ice sheet modelling, sea-level changes and ice sheet-climate interactions. Heiko holds a M.Sc. in physics from Oldenburg University and a Ph.D. from Potsdam Institute for Climate Impact Research/ Potsdam University. Before joining IMAU he has worked as a Postdoctoral Researcher at the Geography Department, Vrije Universiteit Brussel on sea-level projections for the centennial time scale and on ice sheet-climate interactions in long-term future projections and during the Last Interglacial period. William Lipscomb is an ice and climate modeler in the Climate, Ocean, Sea-ice and Ice-sheet Modeling (COSIM) group at Los Alamos National Laboratory (LANL). His research focuses on the development of numerical models for predicting polar climate change and sea-level rise. He has led the effort to add a dynamic ice sheet model to the Community Earth System Model (CESM) and serves as co-chair of CESM’s Land Ice Working Group. He is a lead author of the Community Ice Sheet Model, for which he has recently written a suite of higher-order ice-flow solvers. Bill holds a B.S. in Physics from Duke University, an M.A. in Physics and Philosophy from Oxford University, and a Ph.D. in Atmospheric Sciences from the University of Washington. 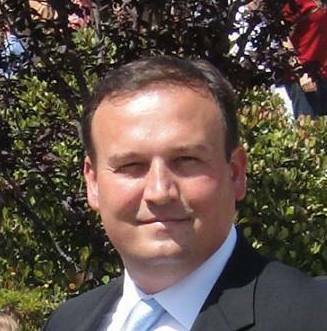 After joining LANL as a postdoc in 1998, he spent several years developing LANL’s sea-ice model, CICE, before adding ice sheets to the COSIM family of models. He is now part of a team creating models of coupled land-ice/sea-ice/ocean interactions in the Antarctic. Since 2003, Jonathan Gregory has been at the Department of Meteorology of the University of Reading, where he is a senior research scientist of the National Centre for Atmospheric Science and a professor in the department. He also works as a Met Office Research Fellow in climate change at the Hadley Centre, which he first joined in 1990. He is a lead author of the IPCC Third (2001), Fourth (2007) and Fifth Assessment (2013) Reports. His recent interests include climate sensitivity and radiative forcing, changes in sea level, land ice response to past and future climate change, ocean heat uptake, changes in the Atlantic thermohaline circulation, and Earth system modelling. Ayako Abe-Ouchi, from the Center for Climate Research at the University of Tokyo, Japan, brings to CliC her expert knowledge of coupled atmosphere-ocean Global Climate Models (GMC), ice sheet dynamics, and paleo-climate modelling. In 1993, she received her Ph.D. in Geoscience from the ETH Zurich in Switzerland. She is the author/co-author of nearly 50 publications in reviewed journals. For more information on the submissions and participants please go to wiki page.